ACHIEVEMENTS: Promethean will provide 3,000 smallholder farmers with access to the dairy cold storage chain during the program partnership, dramatically reducing spoilage, improving quality, increasing farmers’ income, and providing an incentive to increase production. PURPOSE: Introduce and sell milk chillers to dairy processors in Bangladesh that source from smallholder farmers. APPROACH: Promethean develops cold storage solutions for processors in areas where there is inconsistent electricity and individual farmers produce relatively small quantities of milk. 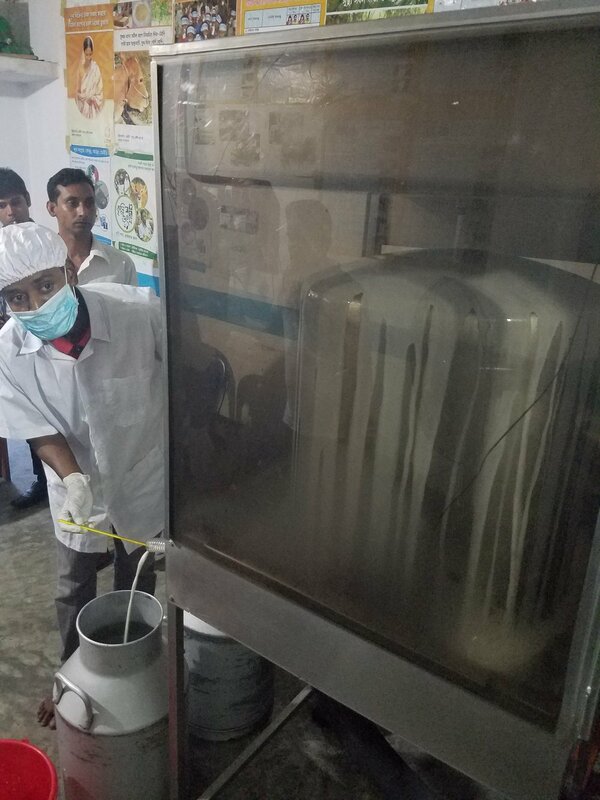 To expand its business into Bangladesh, Promethean is establishing a local team, developing relationships with dairy processors, conducting equipment trials, and launching an outreach campaign explaining the benefits of cold storage for dairy.